Kristopher's Krap | Abort, Retry, Fail? Last night I finally observed the 3 remaining Messier objects on my list. I have now observed all 110 objects on the Messier list. I just leveled up in this hobby. Let’s take a step back. What is a Messier object? In the 18th century, comet hunting was a pretty big deal. A french astronomer, Charles Messier (Chuck), was a comet hunter. In his quest to find comets, he created a catalog of faint, fuzzy, objects in the sky that stayed static relative to the surrounding stars night after night. It was not clear what these static objects were back then, they were just not comets. Today we know these various objects in the sky to be galaxies, star clusters, nebula, and supernova remnants. Messier’s list of objects has taken on a new role. It is a great list of deep sky objects for beginner astronomers to observe. Late in the summer season of 2014, I ordered a modest telescope. The telescope has a 6 inch diameter mirror. By the fall, I had started logging observations of Messier objects with my telescope. I had also contracted a mild case of “Aperture Fever” (the desire to obtain larger and larger telescopes). My wife insisted that I couldn’t purchase a new telescope until I completed the Messier list. This was great motivation. It took me about 2 1/2 years to complete the list. Along the way I have learned a lot about observing, star hopping, red lights, dew control, and mosquitoes. I have also met some great people at the Minnesota Astronomical Society (MAS) and the Glacial Lakes Astronomers and Stargazers Society (GLASS). I have leveled up, and unlocked resources. It’s time to hit the save button and go shopping. 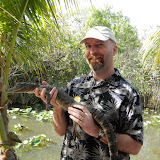 I am dusting off this site in order to have a place to share some of my adventures in amateur astronomy. I feel I still have a unique, beginner’s point of view. To start with I want to point to a document I have compiled to help astronomers confirm they are looking at the correct Messier object. This summer we upgraded our basement. 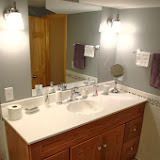 We added a full bathroom, switched to a tankless water heater, upgraded our electrical panel, and added an egress window to the basement family room. Rather than continuously posting photos all summer, we saved them until the end of the project. We started by cleaning out our storage room and doing the demo work. We then hired a highly recommended contractor for everything else. The bathroom turned out really nice. Our upstairs bathroom now plays second fiddle to the one in the basement. Also, thanks to American Standard and this hard to listen to collection of “industrial musicals,” our bathroom now has a theme song. With the death of Google Reader and the uncertainty of where I really want to be hosting my photos, I haven’t been posting lately. Rest assured, we’re still here and doing fine. 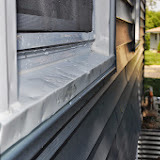 Here’s some not-at-all-catastrophic storm damage pictures from last night’s hail storm. I got caught driving in it. Our house got caught standing in it. At least the power is back on now. We went over 12 hours without it. Does anybody want to help us drink some ice cream? Earlier this month, Marie and I went on a vacation with our friends, Matt and Janice. 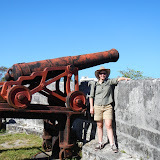 We spent some time in Florida in addition to going on a Caribbean cruise. We had a great time. We left shortly after a large amount of snow fell in Minnesota. This made the warm, sandy beaches that much more enjoyable. I am experimenting with hosting our photos on Google. I hope this works out. 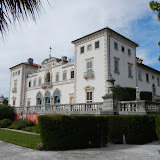 Vizcaya Museum and Gardens was one of our first stops. 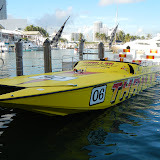 Our next activity was this awesome speedboat tour of Miami. 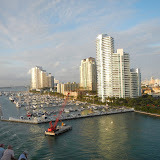 Our cruise ship left Miami on Dec 10th. 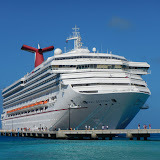 Here are pictures from our cruise ship, the Carnival Destiny. 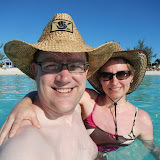 On 12/12/12 we made it to Grand Turk. 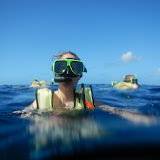 We went snorkeling from a catamaran sailboat. Half Moon Cay had an amazing beach. The sandy bottom went on forever. In Nassau we decided the term, “Christmas Jollification” was underutilized back home.